Discover Mylène, a Belgian classic for 50 years, creators of inspiring on-trend essential products for daily care of self and the home. Mylène cares for the whole family from head-to-toe, with products designed for luxury, elegance, and comfort. They are committed to superior quality and develop all products in house. Find out for yourself why Mylène is a top name in Belgium for skin care, gifts, home goods, makeup, and more! Looking for a unique gift to surprise your loved ones with? Want to celebrate a birthday, birth or other festive occasion? Or does someone you dearly love just deserve a nice gift? Look no further: the most original gifts can be found at Mylène! Discover all our Gift Boxes and surprise your loved ones - or yourself - with one of these inspiring gifts. 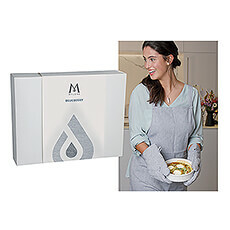 Mylène has a unique gift for every occasion and every person. Discover gifts of all sizes, from a little surprise to a grand gesture. 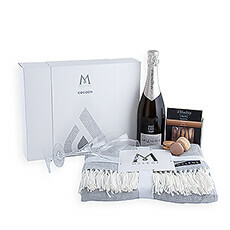 Mylène’s aim has always been to celebrate beauty, whether it’s with a gift ordered online or with the famous home parties to showcase the luxurious beauty products. Their collection cares for you from head to toe, ranging from pampering beauty products for her to gentle skincare for baby to nourishing wellness gifts for him. 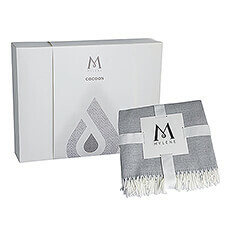 Mylène also creates lifestyle gifts for the home, including warm cozy throws, kitchen gifts, and much more.